Welcome! This course will help you understand the key features of Turnitin's Schoology integration. It will assist you in providing support to your institution for Turnitin products which link to the Schoology LMS. Let's get started... Click Start course. What is an LTI Integration? LTI (Learning Tools Interoperability) is a sign-on standard developed by IMS Global allowing you to access and view web-based resources within a learning platform. An LTI integration enables users to securely utilize a wide range of publisher content from a single platform, including Schoology. The resources found within LTI are often referred to as 'tools' and can range from a single piece of content to an interactive website consisting of search tools, assessments, and more. A Turnitin LTI integration is primarily used to create Turnitin assignments from within an LMS. 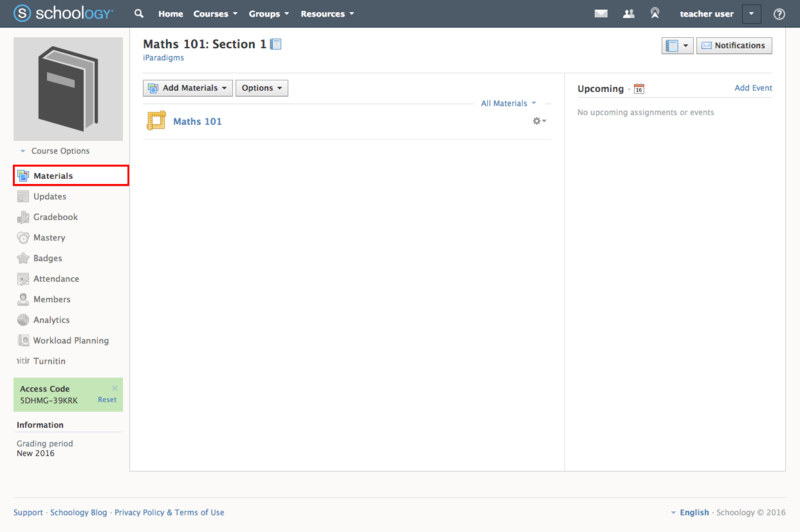 Once created, the Turnitin rubric manager is available for use. 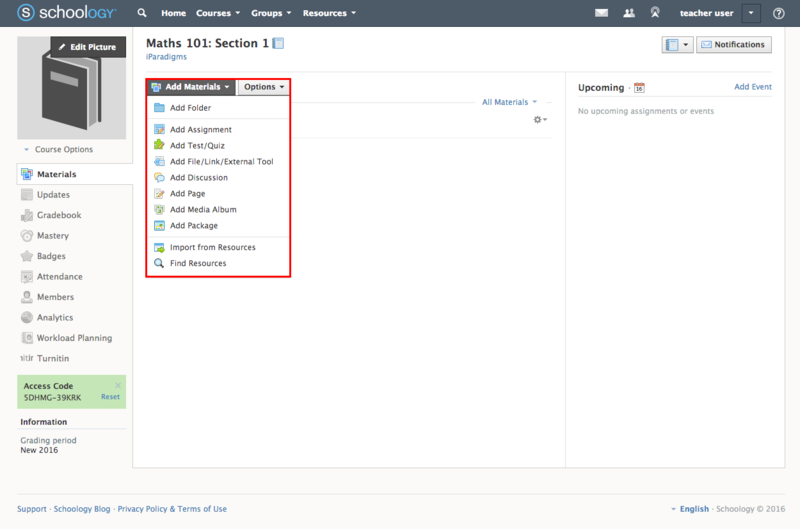 Likewise, PeerMark assignments can be added to the base assignment from within the assignment edit tool. The Turnitin Tool intelligently passes grades given to papers submitted to the Turnitin assignment to the LMS grade book. An LTI integration (also known as an external tool) is easy to set up in Schoology. The Schoology System Administrator must firstly install the tool provider at course or district level, allowing teachers to add external tools with minimum effort. If the Schoology System Administrator decides against adding the tool provider, each teacher must enter the external tool's account credentials each time an external tool is added. In this instance, each teacher adding an external tool to a course must access (potentially sensitive) subscription information for that particular tool. What is a Consumer Key? Your Consumer Key is your Turnitin account ID and is automatically assigned at point of registration. 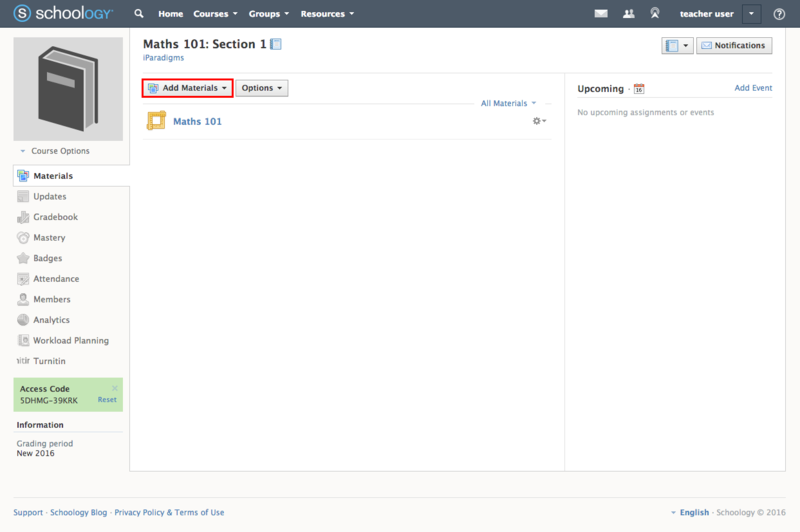 Administrators must enter their Turnitin account ID into the consumer key field; this allows an LMS to correctly integrate with a Turnitin account. Account IDs are 5 digits long and can be found on the left-hand side of the account name on the Turnitin administrator homepage. What is a Shared Secret Key? 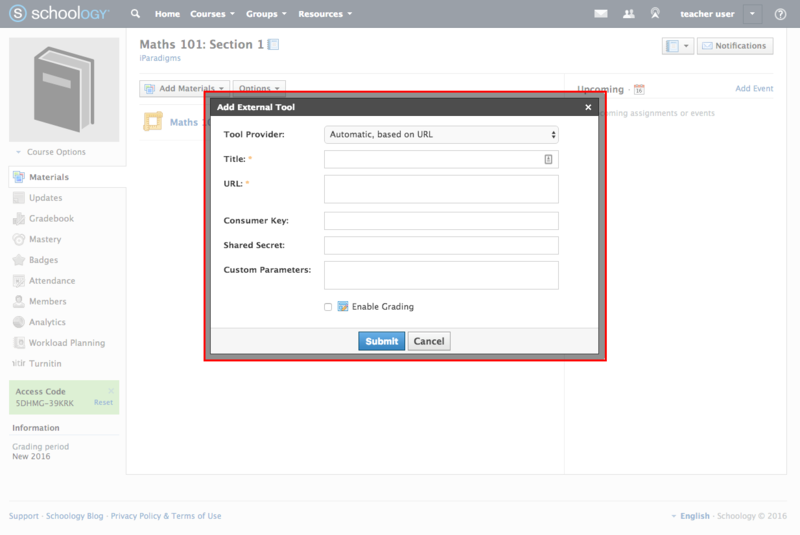 A Shared Key is configured by the Turnitin administrator during the Turnitin LTI integration setup. The Shared Key (or Secret Key) is used to verify the integrity of requests sent from an institution’s LMS account to an institution’s Turnitin account. The Shared Key can be any word or alphanumeric 8-character text string, containing at least one letter and one number. The key entered in Turnitin must be identical to the key entered within the LMS. To be clear, both keys must match in order for access to be granted, otherwise, the integration will not work. 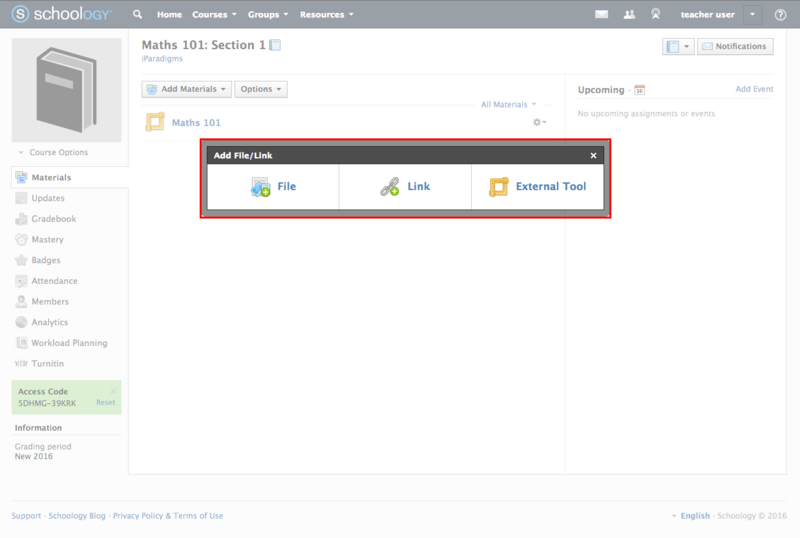 What is Turnitin's External Tool URL? Note: We recommend adding tool providers at institution level; however, you can learn more about adding them at the course level on the Schoology support platform. When an External Tool is added to a course, information that is specific to the tool provider must be entered and/or your district's subscription credentials. When adding an external tool, the necessary information — such as tool provider domains and URLs — must be accessible to faculty members. Step 1: Navigate to an existing course or create a new course. Step 2: Click Materials on the left-hand menu. Step 3: Click Add Materials. Step 4: From the Add Materials drop-down list, select Add File/Link/External Tool. Step 5: Choose the External Tool option from the Add File/Link pop-up window. Note: We recommend adding tool providers at institution level. However, if the tool provider has not been configured beforehand, visit the Schoology support platform for help with course-level setup.